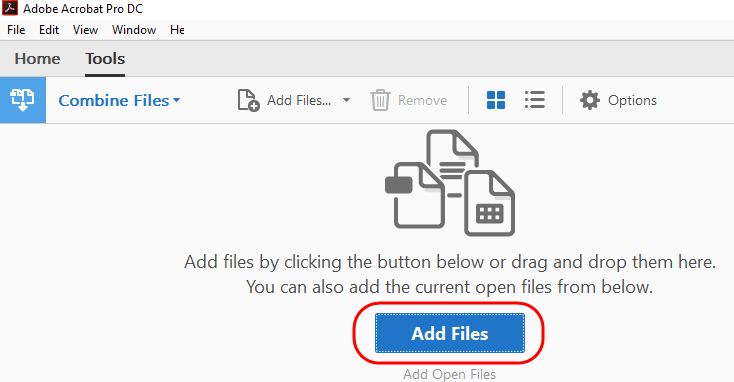 Step by step guide to combine multiple files (Word, Excel, Power Point, etc.) into one PDF. Step 1: On the left hand side of the desktop, find the windows button and left click on it. 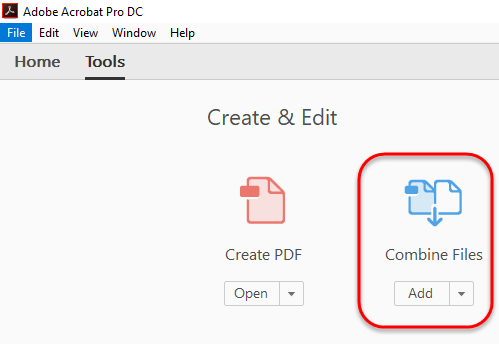 In the pop-up window, use the search bar and type "Adobe Acrobat." This will bring up the Desktop app that is being searched for. Under best results, click on Adobe Acrobat DC. 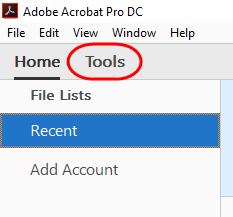 Step 2: With Adobe Acrobat Pro DC open, in the upper left hand corner, click on the tools tab. Step 3: Under the Tools tab, click on Combine Files where it says "Create & Edit." Step 4: Once inside the Combine Files app, First, click on "Add Files." Step 6: After all the files have been selected and opened, click "Combine."